Living with macular degeneration requires a willingness to adapt and to try new ways of doing things. Bob Proctor the author of ABC's of Success shares that the three A's of aware, accept and adapt are keys to living life successfully in any area of our lives. 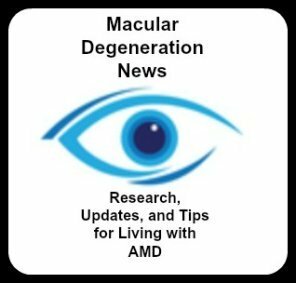 There are many adjustments to make in your every day living with macular degeneration. The most important is your attitude - you need to be willing to try to do things differently. Some changes are easy - like using colored dinner plates that contrast with your placemat. Some are more difficult and may involve training from a low vision specialist. such as a black pen on a black granite counter top, but ...put that black pen on a white counter top it can be seen quite easily. 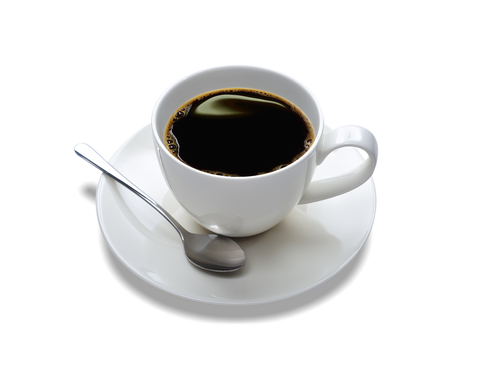 See how this white cup and saucer stands out on a dark background? Avoid plates and dishes that have lots of pattern. You could also do the reverse - use dark colored plates on a light or white placemat. 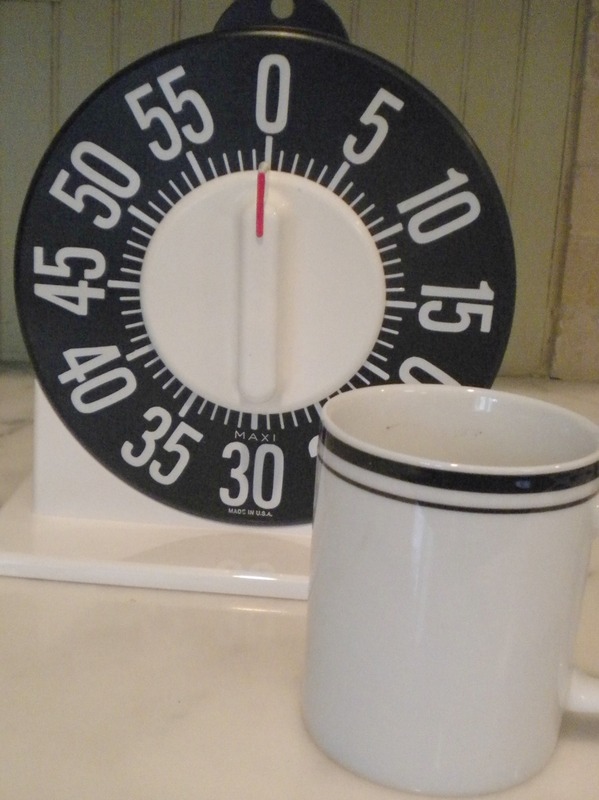 The contrast of the dark coffee with the white coffee cup makes it easier to pour and to see how much liquid is in the cup. 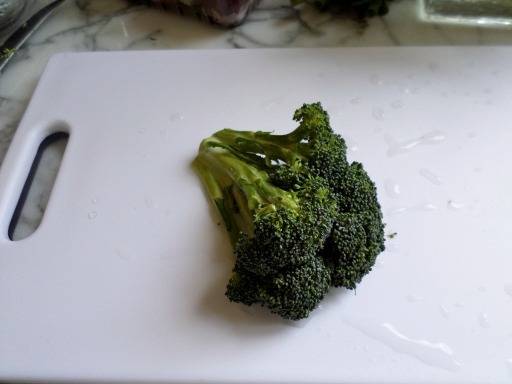 √ Use the dark side of a low vision black and white cutting board when preparing light colored foods like cauliflower, potatoes, onions and mushrooms. √ Paint the edges of your outdoor steps in white or place Reflective Yellow Warning Safety Tape on stairs. √ Use bathroom towels and washcloths that are a solid color and contrast with your bathtub, sink and counter. Talking watches, large print books, bold numbered measuring cups and large print keyboards are just a few of the low vision aids available for those with macular degeneration. Living with macular degeneration will involve more lights and brighter lights as your macular degeneration progresses. 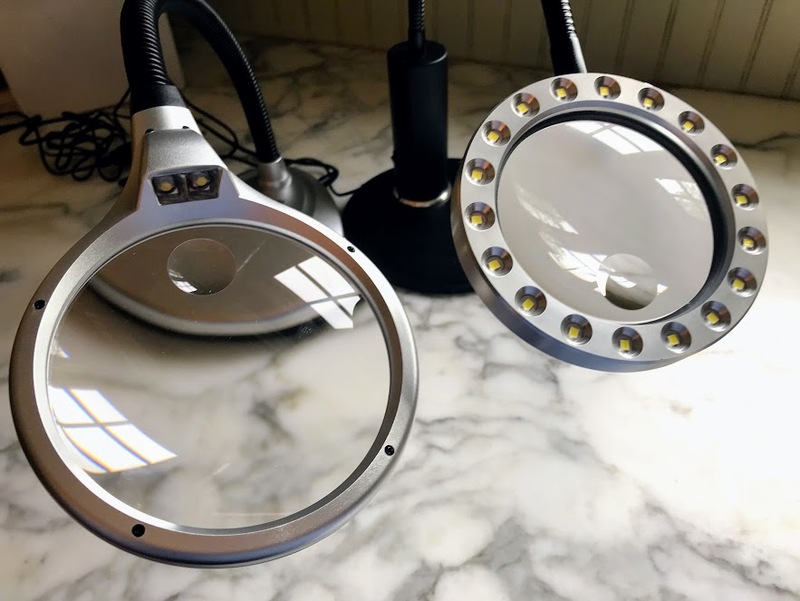 Place more lamps in a room for general lighting and use an adjustable swing arm or gooseneck lamp for tasks like writing bills or reading your mail. Keep small LED penlights or flashlights handy for a quick read or to see the settings on your washing machine or microwave. Terri Cyr, OD, has authored a book that provides lots of tips and helpful suggestions on how to adjust to loss of vision and how to adapt in ways that allows one's vision to be more useful. The author covers topics such as magnifiers and visual aids to electronic technology and binocular telescopes. Why not benefit from what someone else with macular degeneration has learned? Peggy Wolfe, the author of Vision Loss: Strategies for Living with Hope and Independence share with WebRN Macular Degeneration readers some of her best tips for maintaining independence and for coping with loss of central vision from macular degeneration.